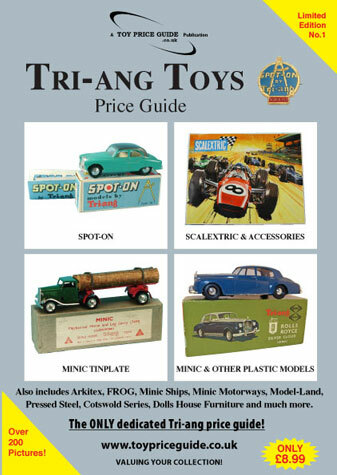 Plus other sections including; Arkitex, Jenny’s & Dollies home range of diecast and plastic furniture, novelty toys, pedal cars, early wooden vehicles and the Spot-On FUNFAIR range of games. Working closely with museums and private collections the guide includes never before listed items and variations. By using the very latest prices achieved through UK auction houses and the internet it is a must for all those interested in the toys produced by one of the world’s most important toy companies.